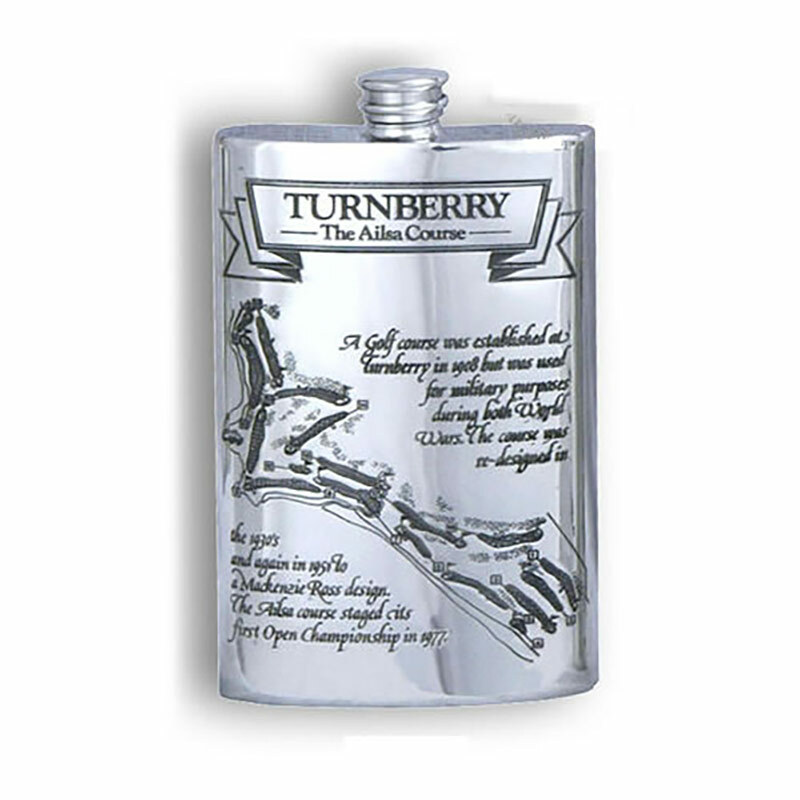 A fine quality 8oz screw-top pewter flask featuring extensive details of the Ailsa course at Turnberry. This golf flask includes a map of the Ailsa course and historical information on the front, while the rear shows the card of the course and the years in which it has hosted one of the majors. These pewter golf flasks are supplied with individual silk-lined presentation cases.